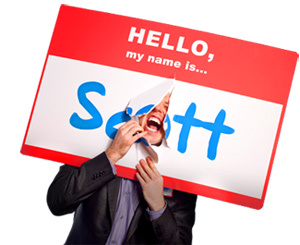 Be Non-Checkoffable - HELLO, my name is Scott! Notes that indicate whether or not they like you. Notes that indicate whether or not they should do business with you. Notes that indicate whether or not they should refer their friends to you. And if you read Blink by Malcom Gladwell, you learned that people make these mental notes quickly. Like, within a few seconds. These ‘people,’ represent a certain pool of individuals. Who are just WAITING to check you OFF. Become non-checkoffable. 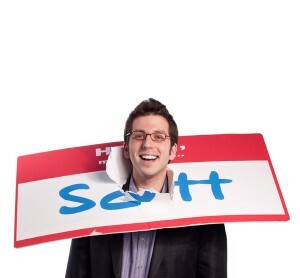 THAT is the critical key to making an UNFORGETTABLE first impression. See, because they’re based on instinct and emotion; and because they’re usually correct, the first impressions people form about you will probably stay in their minds forever. WHY? Because people put pressure on themselves to behave consistently with their own existing commitments. This is known as the primacy effect. Meaning, the information people see or learn about you is more powerful than what is learned later. And that’s it. In your mind, he’s a gonner. Adios Esteban! 1. Consistency. Between your words and actions. Between your values and vocation. Between your emails, phone calls and conversations. Because consistency is far better than rare moments of greatness. 2. Commitment. To service. To approachability. To delivering value. And most importantly, visually reminding people that you’re committed to them. 3. Coolness. Just relax. Don’t get caught up in the potential frenzy of first impressions. If you’re on a sales call, about to attend a conference or meet a prospect for lunch, try a few breathing exercises first. Whatever it takes to calm down and stay cool. KEEP IN MIND: some people (about 10%), no matter how hard you try to convince otherwise, WILL check you off. Don’t sweat it. They probably check everybody off. Which is why they probably have no friends. Forget about the 10 and focus on the 90. Practice consistency, commitment and coolness, and the majority of people you meet will check you ON. What makes YOU check someone off?